We know that donating to your community and spreading #LocalLove is important to you, but did you know that you aren’t just changing lives in your community? If you’re making a difference with a donation to United Way Simcoe Muskoka, then your donation is eligible for a federal tax credit, too. Income taxes are due soon, so don’t forget about claiming your charitable donations. The federal government gives one of the best tax credits worldwide for charitable giving. Unclaimed donations made by your spouse or common law partner from the previous five years. 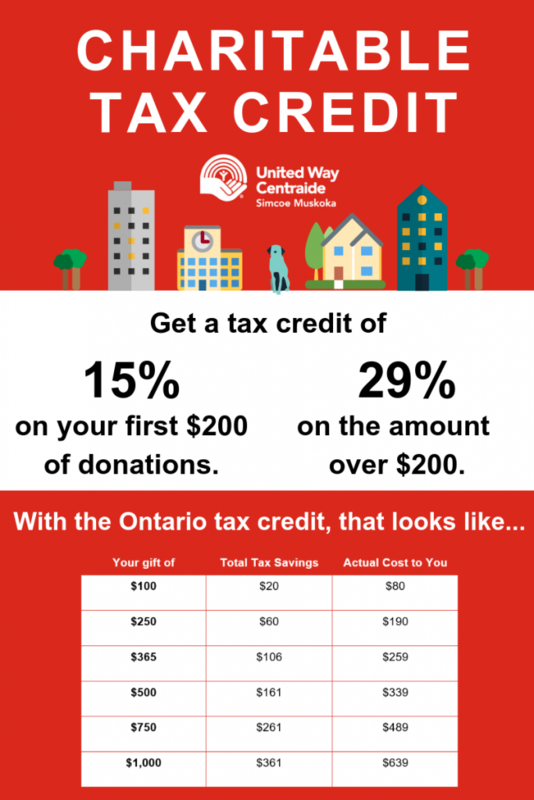 In order to claim your charitable tax credit, you need a tax receipt from a registered charity, like United Way Simcoe Muskoka. The federal government has a list of qualified organizations that make you eligible for the charitable tax credit. credit, you should keep the receipts in case the government asks to see them. 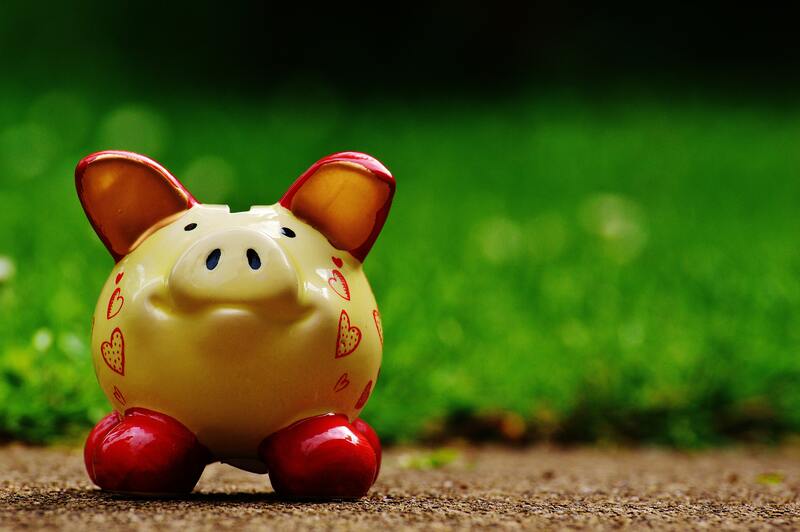 How does the charitable tax credit work? The charitable tax credit is a non-refundable tax credit, which means that it reduces the tax you owe. It gives you a tax credit of 15% on your first $200 and 29% on donations above the first $200. That might be hard to picture, so we made a chart to show you exactly what it looks like. If you want a more exact number, the federal government has a calculator you can use to figure out how much of a tax credit you are eligible for. Donating to charities like United Way Simcoe Muskoka let you to keep your money right here in your community, while benefiting from the charitable tax credit. Want to make a difference in your community? Click here to donate. Be sure to sign-up for our newsletter to see how United Way Simcoe Muskoka is spreading #LocalLove and connect with us on Facebook and Twitter to stay up-to-date on what’s happening in your community.